The holidays might be over, but that doesn’t mean the wanderlust has to cease. A new year marks the perfect chance to tick a few destinations off that travel bucket list—and we’re here to help get you started! Following the annual predictions of international travel operator Scott Dunn, we’ve rounded up a list of the best spots to visit this 2019. Whether it’s hiking through uncharted Chile or getting close and personal with Rwanda’s mountain gorillas, spice things up this year by throwing a few out-of-the-box ideas into your travel plans. 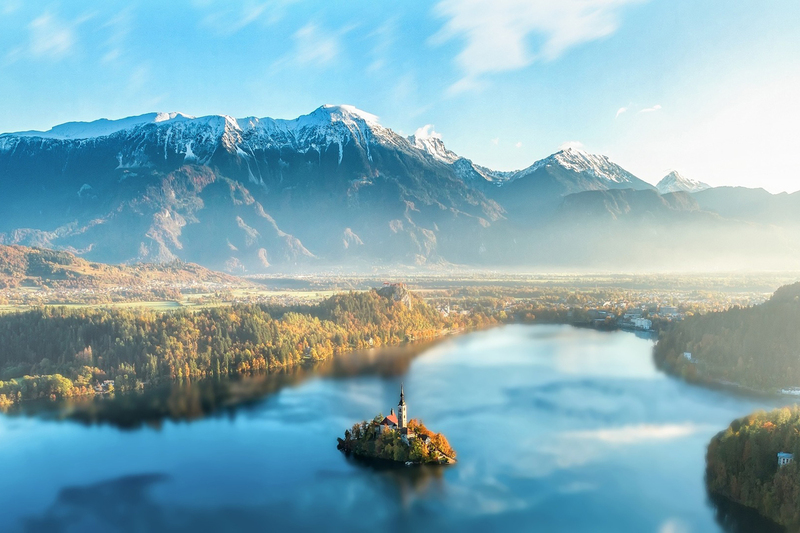 A hidden gem in the heart of Europe, Slovenia offers breathtaking mountains, forests and lakes—thankfully still somewhat off-radar for less seasoned travellers. Relish in beautiful landscapes and a fascinating history, reflected through medieval castles and the thriving local culture. Activities-wise, all the classic adventure staples are there at your disposal—cue hiking, kayaking and rafting. Then there are the things you can’t find anywhere else, like the Old Town, with its quaint 19th century shop-fronts and cobblestone passageways, or the mysterious and breathtaking havens hidden underground. Find which luxury travel package suits you best here. Chile might be a familiar name on ‘Top Places To Visit’ lists, but we’re talking about the uncharted Chile. Avid nature lovers have a lot to get excited about, as there are three new scenic trekking routes to explore. Covering roughly 2,800km, the routes stretch from port city Puerto Montt to the Southern headland Cape Horn. Explore the wild wonders of Patagonia through the Southern Way or the Patagonian channels trail. You can also opt to take another route to the southernmost part of Chilean territory, and witness for yourself the real End of The World. Find which travel package suits you best here. When it comes to Peru, hoards of tourists have their sights set on the Sacred Valley of Machu Picchu. Avoid the crowds and enjoy the country’s allure sans push-shove by heading up North to the lesser-known—but nonetheless beautiful—Chachapoyas. Located in Peru’s high Andes, dreamy cloud forests cover the region. There you’ll find the hilltop ruins of Kuelap, which have existed even before the Inca Empire. Hidden in a rocky canyon is also the breathtaking Gocta Waterfall, which can only be reached by trekking with a private guide. Find which travel package suits you best here. Rwanda has tempted travellers for quite some time, and isn’t hard to see why. The National Parks are alive with savannahs and wetlands. The Big Five are also all in attendance—cue lions, leopards, rhinos, buffalos and even African bush elephants. Chimpanzees fly over branches in flourishing jungles, and the tree-line sings with the caw of over 300 bird species. The key highlight? Rwanda is one of the world’s only places where you can spot some of the last mountain gorillas in existence. Opt for a Gorilla Trek to get up-close and personal with humanity’s closest relatives (they do share nearly 98% of our DNA). What makes this year an ideal time to plan a trip? More high-end properties are set to open within the year, offering increased accessibility plus that touch of luxury you know you can’t really live without. Find which travel package suits you best here. A perfect combination of stunning safaris meets sophisticated boulevards, Zimbabwe is one of those hidden spots that was close to becoming totally discovered and even hyped, when internal political turmoils put a damper on its success in the tourism scene. This year, as the political situation gradually stabilises, the country is once again generating increasing interest. Zimbabwe is essentially back on the playing field, and as camps start reopening and plans are made for new properties to be built, you better catch the final trails of its hidden-gem vibes before the global tourist-craze beats you to it. Find which travel package suits you best here.